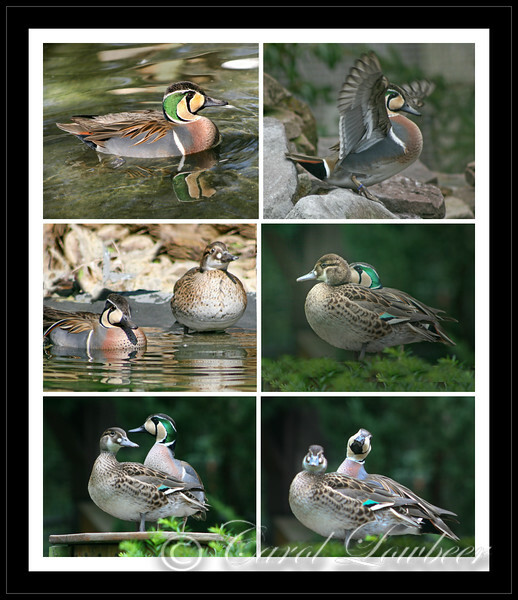 A Baikal teal couple’s communications are a challenge to decipher. The ornate drake frequently turns his gorgeous back on the female. Playing hard to get? She doesn’t give up though and soon she gets lucky: he gives her a smooch on the cheek! But then he’s had enough and flies off! The Baikal Teal breeds in Eastern Russia.